Steven W. Hernandez, Esq., is the founding member of the Hernandez Law Firm, P.C., located in Toms River, New Jersey. Mr. Hernandez has been specializing in DWI/DUI defense since 2010. He believes that the best way to beat a DWI/DUI case is to have the training necessary to achieve that goal. To that end, when it comes to fighting breath cases, Mr. Hernandez has received training as an instructor in Standardized Field Sobriety Testing (SFSTs) and is Alcotest 7110 MkIII-C evidential breath test operator. When it comes to defending DWI Blood and DUI Drug cases, Mr. Hernandez has attended the DRE overview course (the most extensive level of DRE training available to non-law enforcement) as well as training in Forensic Chromatography, Theory & Practice; Forensic Solid Drug Dose; and Forensic DUI-Drug. In October, 2014, he earned the “ACS Forensic Lawyer-Scientist” designation, as recognized by the Chemistry and the Law Division of the American Chemical Society (ACS). Mr. Hernandez lectures regularly for the New Jersey State Bar Association (NJSBA) and the Institute for Continuing Legal Education (ICLE). 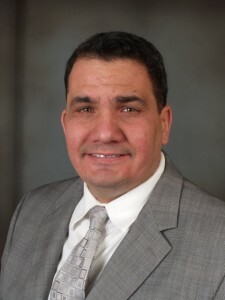 Mr. Hernandez is a member of the New Jersey Bar Association, Municipal Court Practice Section; a Sustaining Member in the National College for DUI Defense (NCDD); and a Founding Member of the DUI Defense Lawyers Association (DUIDLA).